Gilles and Cecilie Studio offer a variety of talents to bring three-dimensional spaces to life - and then make them burst with vitality. Their solutions for Hotel Folketeatret in Oslo, Norway, are sophisticated, complex, and bring each space to life, showcasing a variety of their talents. The project's title is Dandilions and the Northern Lights, a shared experience. Hotel Folketeatret is in one the the most well-known buildings in Oslo, and one of the most fantastic art deco houses in Norway. The building was drawn in the 1930s and was inspired by the Empire State Building in New York. When Eiendomsspar and Mellbye architects contacted Gilles and Cecile studio, the first brief was to come up with ideas for painting the main staircase, walls and ceilings as well as signage and a unique painting on each floor. "With Scandinavian values in mind, we found it natural to think about designs that had to do with the outdoors. We searched for shared experiences in nature that everyone would remember from childhood, like blowing dandelion seeds into the skies and watching the dancing and colourful movements of the Northern Lights (a shared experience by people in the Nordic region),” they write. "We wanted to make sure the friendly Scandinavian values of the Hotel Folketeateret AS came through in our design., and was something that everyone could identify with,” they say. I think you will agree, the results are beautiful. When Gilles Jourdan and Cecilie Maurud Barstad are not working around the world where their work takes them, they call London home. © Gilles & Cecilie. All rights reserved. All artwork used with express permission. 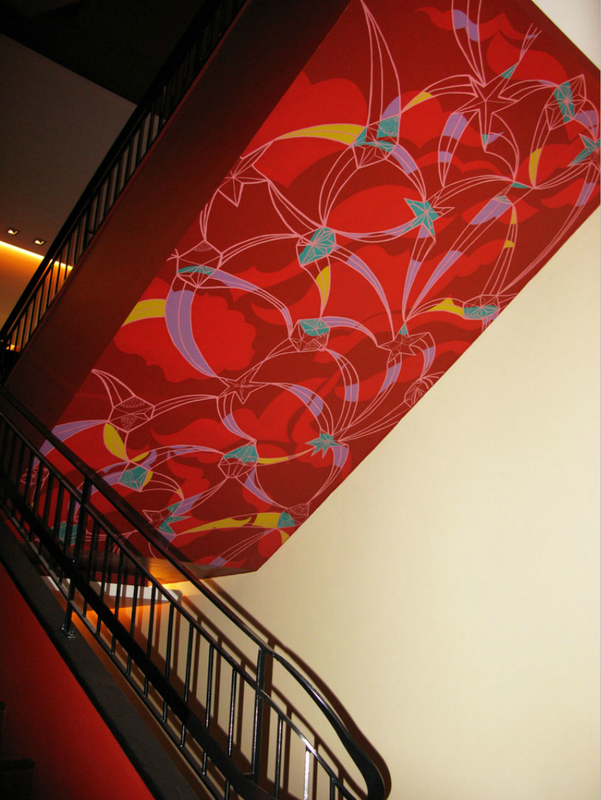 Lightbox illustrations were installed, and their designs vary on different floors. 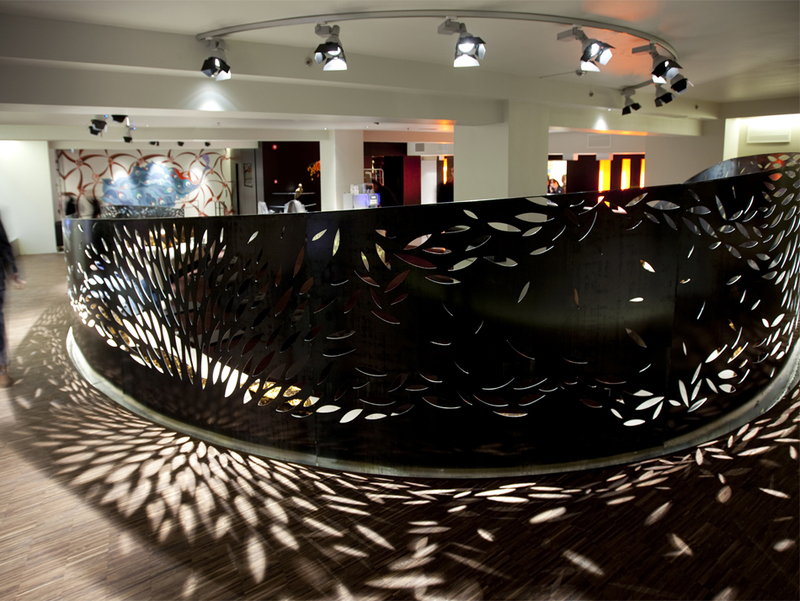 Gilles and Cecilie Studio Project Managed the creation and installation of theses boxed that used their design.